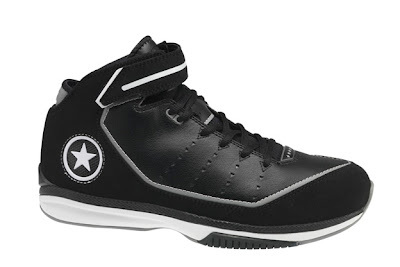 Recently Converse released a press release for the upcoming basketball season. It was the first time in years that there was an online acknowledgement of an NBA roster outside of Dwyane Wade. You can find the press release here. There are some interesting claims on the press release, one being that this is the largest roster Converse has had in over 20 years. I did a little research I am not so sure that this is an accurate statement. That's for another day though. This is the first mention from Converse of having most of the roster, I am not even sure they had a press release when they signed Jameer Nelson as a rookie. It is also the first mention of t he Converse and Marquette partnership, where we learn the deal is for 6 years. So for the next few weeks while this semester comes to an end and gets really crazy for me, I am going to post info and pictures from this release. Today I am going to post the pics of the new shoe named Hops. If you remember back to the other day when I posted pictures of NBA guys so far, Maurice Evans was rocking a pair. »High performance and grounded, the Converse Hops includes key features like a leather upper with micro perforations for increased breathability. »The collar strap enhances stability and the supportive internal booty provides a comfortable fit. »The Hops’ EVA midsole provides durable cushioning while the deep heel carves add impact protection. »The solid rubber, herringbone outsole with lengthwise flex grooves offer even greater stability and grip. 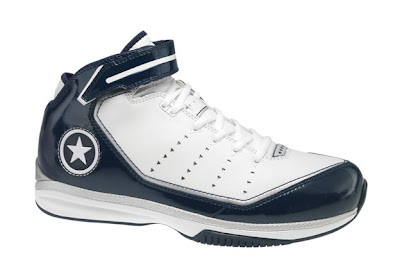 »The Converse Hops will be available in four colorways on Jan. 1, 2008 at major athletic retailers and Converse.com. 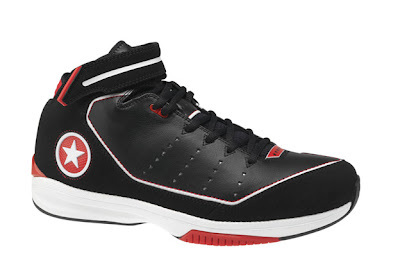 So at least for the first part of 2008 this will the main shoe worn by the Converse NBA guys, along with Evans, Haslem and Tucker have worn them in the preseason. Thanks for coming by, leave so me feedback on your way out. I will be out of town for Thanksgiving so I probably won't post again until Friday, but you never know.